Relocating to North Central Florida? Relocating Outside of the North Central Florida Area? Horizon Realty’s Relocation Department would like to assist you with your relocation. We will provide you the very best in personal and professional services tailored to your needs. Our services are designed up provide assistance and the care essential for a successful move, to anywhere… not just the Gainesville-Lake City area. 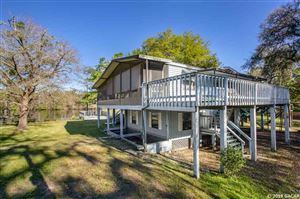 · Personalized relocation information to assist you to understand the Gainesville-Lake City and/or the surrounding areas. · Personalized relocation specialist will assist to understand current home prices, market conditions and trends. · Detailed information about schools and day care in the community, both public and private. · Rental assistance for short term. · Our relocation director specializes in matching each family with an agent trained to assist with the stresses of relocation. · A personalized consultation that helps you prioritize your needs. · Marketing assistance in selling your current home no matter where it is located in the country. · A confidential mortgage and pre-qualifying consultant, providing you with mortgage alternatives and rates. · Assistance in purchasing all types of properties including residential, condominiums, properties near the University of Florida, new home construction, vacant lots, farms and acreage.